Having been forgotten at Apple’s ‘Let’s talk iPhone’ event back in October, the completely redesigned iPhone 5 is now on track for a Fall 2012 launch, according to a “close source” who is familiar with Apple’s plans. And like the iPad, the sixth-generation device will reportedly sport an aluminum rear casing, with a rubberized bezel much like Apple’s iPhone 4 bumper cases. We have also learned that Apple is planning to use a rubber or plastic material — similar to the material used in the company’s bumper cases — that will be built into the new iPhone case. In all likelihood, this material will be used as a bezel surrounding the front edge of the phone (like the iPhone 3GS bezel) and it will serve two purposes. 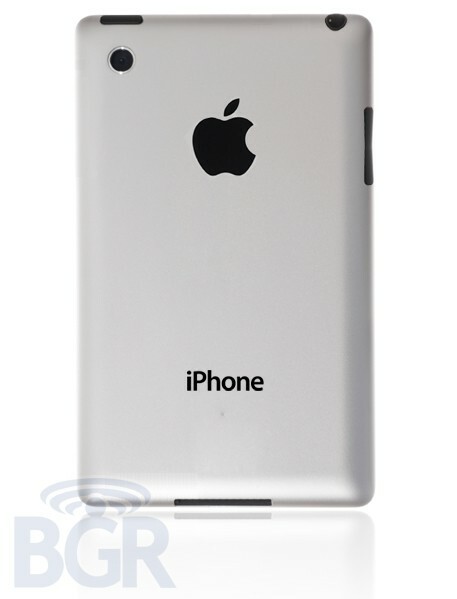 First, it will join the glass iPhone face with a new aluminum back plate. It will also cover a redesigned antenna system that surrounds the device, allowing Apple to build the rear case out of aluminum without having to use a large plastic insert above the antennas as the company does on its iPad 2 Wi-Fi + 3G. Rumors claiming an aluminum casing will feature on the iPhone 5 have been circulating for many months now — long before the release of the iPhone 4S — but this is the first we’ve heard of a rubber or plastic bezel. It certainly sounds like a good idea, but will it be pretty?